Revenue generated by the Cyprus ship management industry in the first half of 2018 amounted to €506 mln, or 5.1% of GDP, the highest level since 2013. Income increased by €30 mln in H1 on the same period of 2017. According to the Central Bank of Cyprus ship management survey, in absolute terms, revenue for the six-month period of January – June 2018 saw an increase of 6.3% compared with H1 of 2017, and 7.3% on an annual basis. The new rise in revenue came as global shipping and freight markets are recovering from the strong downturn since the global financial crisis. 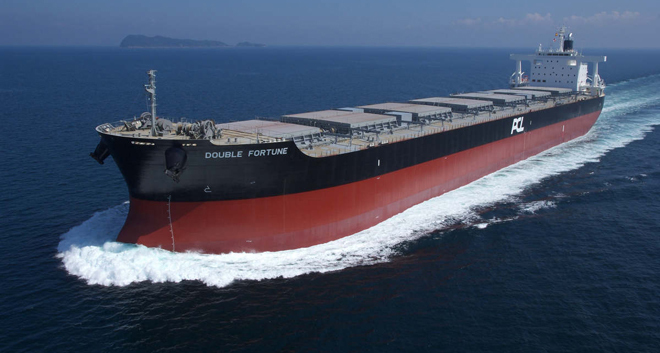 “The global ship building industry is currently recovering from the strong downturn experienced during the financial crisis, as demonstrated by the gradual rise in vessel prices and the increase in order inquiries,” the CBC said. Ship management steadily remains an international industry as 90% (down from 94% in H2 2017) of the revenue came from ships with a foreign flag, while the share of revenue from Cyprus-registered ships increased from 6% to 10%. According to CBC data, Germany remains the industry’s biggest market with its share accelerating to 47% in H1 2018 compared with 37% in H2 2017. Russia is second place with its share rising by 3% to 7%, equalling Malta. Revenue originating from Switzerland amounted to 6% (down from 8% in H2 2017), followed by Greece with 5%, Singapore with 4% and Norway and the UK with 3%. Ship management expenditure remained broadly unchanged amounting to €435 mln in the first six months, compared with €436 mln in H2 2017, with 59% of the spending directed to predominantly non-EU seafarers. Ship management expenses accounted for 21% of total spending while 20% was attributed to administration expenses. “Stabilization of expenses are expected to improve the financial health of the companies, in light of the uncertainty that is still surrounding the shipping sector globally, as recent sources of uncertainty include the rise of protectionism in global trade and the rising cost of oil,” the CBC said. Cyprus ship management is the world’s third largest hub while the maritime cluster contributes around 7% to the island’s GDP.